Canary Personality, Food & Care – Pet Birds by Lafeber Co. The canary has been a favorite among bird keepers for hundreds of years, and has been bred into more than 200 breeds, much like dogs have, each breed prized for a particular skill or appearance. Birdseed is not enough to keep a canary in its prime. 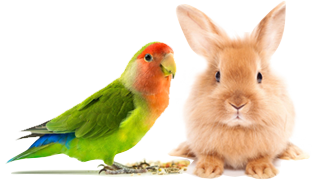 A nutritious canary diet should consist of pellets, such as Lafeber Premium Daily Diet Pellets for Canaries. Canary enthusiasts are among the most passionate of the bird keepers — they need more than a little zeal to master the hundreds of canary types, each with its own special traits. Canaries are bred for three basic characteristics: song, color, or type (appearance), though the male bird in each of these types will sing. The song canaries are bred to perform skilled concertos, and many are bred to have a specific song, which they often show off at canary song competitions; popular song canaries include the American singer, the German roller, the Spanish timbrado, and the waterslagger. Color-bred canaries are bred for their color, and can be fed manufactured and naturally pigmented food to enhance color; the red factor and the yellow (clear) canary are the most popular in this category. The type canaries are bred to have certain physical characteristics, such as a mop of “hair” or frills; popular type canary breeds include the border canary, the crested, the fife, the Gloster, the lizard, and the Norwich. 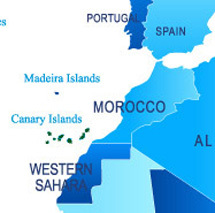 Of course, these lists represent only a few of the many canaries available today. Most canary novices will want a canary that sings well, rather than a ravishing beauty with a mediocre song. Finding a good singer is tricky business, and takes skill and experience. The longest and sweetest songs come from the male canary when he has reached maturity at 6 months of age or more. Experts suggest hearing a bird sing before buying it, or consulting a respected breeder. Hens are also capable of singing, but not as well nor as often. Canaries are a available for sale in many pet stores, from avian-specialty shops as well as direct from bird breeders. They are less likely to be available for adoption from avian-rescue organizations, which are more focused on parrot species in need of homes.